Whether it is a burn, back injury or sprained ankle, the majority of workplace accidents can be covered by workers compensation benefits. The Illinois Workers Compensation Act provides benefits for almost everyone who works in or was hired in Illinois. Workers comp benefits are paid by employers or their insurers and that cost cannot be passed onto injured workers. Unfortunately, the new workers compensation laws are written to benefit employers by minimizing workers rights to compensation. There are many traps written into the laws that can result in a worker losing his or her right to full benefits if a workers comp claim is not filed properly. 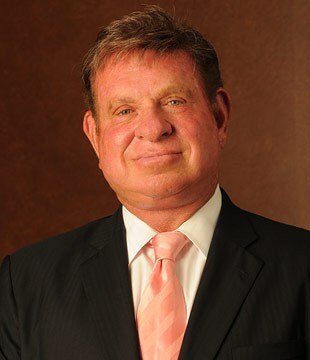 The Chicago law firm of Goldberg Weisman Cairo specializes in helping injured workers and their families. For the past nearly four decades, we have helped recover more than $2 billion on behalf of our workers comp and personal injury clients. Our firm is highly experienced in successfully handing workplace injury cases involving all union workers, including Teamsters. The International Brotherhood of Teamsters is a national union that boasts more than 1.4 million members and approximately 500,000 retirees. The union and its affiliates are organized into 21 industrial divisions and represent members of almost every professional and nonprofessional occupation in Illinois. The union seeks to organize workers to give them a strong voice in their workplaces. Teamsters also negotiate and enforce collective bargaining contracts to make sure that all workers are treated with the dignity and respect they deserve. The attorneys at Goldberg Weisman Cairo are proud to represent more union workers than any other law firm. Since 1977, we have represented thousands of injured individuals and their families in workers compensation cases. Our firm is known as the law firm that caters to injured union workers. We are well-respected throughout the state due to the care we show every one of our clients. Our attorneys routinely speak at union halls and jobsites to help educate workers on workers comp laws and their rights. You can arrange a free consultation with one of our union workers comp attorneys by calling 1-312-464-1234 or reach us via this website. In addition to our Chicago law offices, we have locations throughout the state and can meet clients in union halls and other places for their convenience.